The following walkthroughs will help you easily install and use most applications to interact with your hosting space. Please use the following walkthroughs to assist you in fully enjoying your webhosting experience. 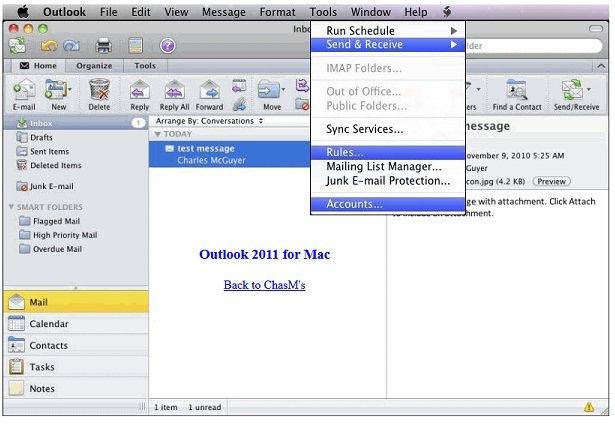 Open Outlook on your Mac and click "Tools" and then "Accounts." 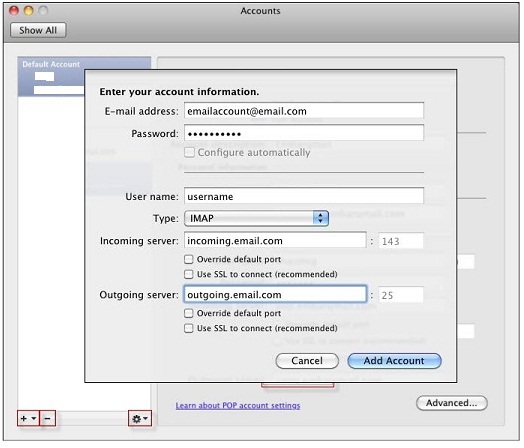 This screen will show settings, if you have an existing account, or allow you to add a new account. 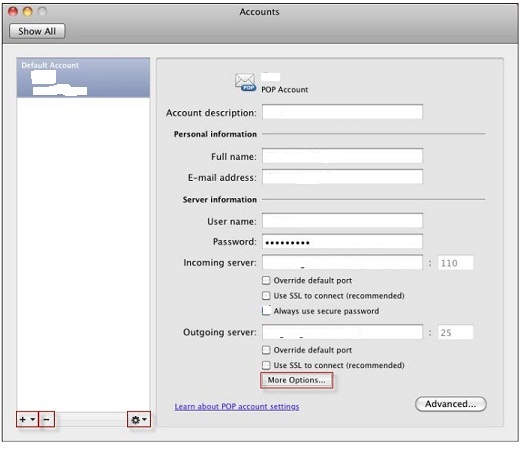 Add a new account by clicking the plus symbol on the bottom left and choosing "email." This will come up looking for your email address and password. Do not use the "configure automatically." Username should be your full email address. Type should be IMAP but that's up to the customers preference really. Incoming and outgoing server is mail.domain.tld.Hit the "Override default port" option on outgoing and after the colon put "1025" The incoming port can stay as default. Both SSL options should be off. Then hit Add Account and your done.